Online business owners have two primary choices for building a customer base. You can invest your time and money in attracting new customers one-by-one, using techniques such as cold calling, pay-per-click advertising and media buys. These techniques are referred to as "outbound marketing" because you must push out your message and hope it falls on receptive ears and generates new customers. But outbound marketing is becoming less effective due to the growing number of sales messages prospects are exposed to every day. 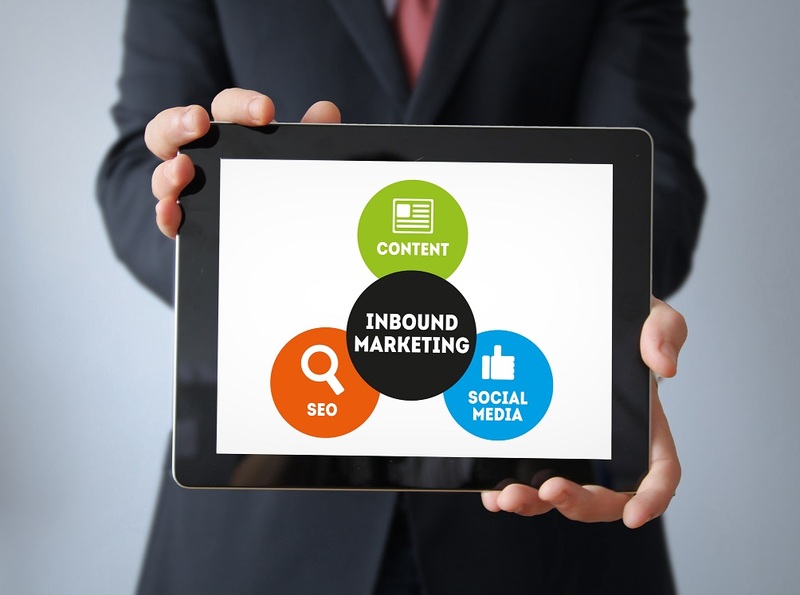 For this reason, more online marketers are turning to "inbound marketing." This is a process by which you build and distribute valuable content that enables new customers to find out about your business without direct involvement on your part. For example, producing YouTube videos, releasing white papers and participating on social media websites can all be considered inbound marketing tactics. They help new users discover your brand and your website on their own. 1. Identify your target customers. The primary goal of any inbound marketing program is to get visitors onto your site. But before you can start developing the content needed to drive these campaigns, you'll need to determine the types of customers you want to reach. Inbound marketing works best when you've honed in on a specific target audience, as this will allow you to better tailor content to their interests. You can start by doing a thorough analysis of the types of customers you have attracted in the past. What characteristics do they share and how can you use those common traits to identify potential new customers? For example, suppose your Web analytics show that many of your paying customers come from Twitter and that a high percentage of your followers are 25-to-44-year-old women. Knowing this, you can create inbound marketing content that appeals specifically to this demographic. 2. Set your desired action. Now that you have a general idea about the people you'll target with your inbound marketing campaign, determine the call-to-action (or CTA) to include in your content pieces. Depending on your business goals, this could include making a purchase or subscribing to an email list on your website. It also could be something as simple as sharing your inbound marketing content on Facebook, Twitter, LinkedIn, Google+ or Pinterest. Making viral sharing of content the CTA is one way to generate word-of-mouth interest, another hallmark of inbound marketing. 3. Create your viral campaign pieces. To spread the word about your business, your inbound marketing campaigns may include text-based articles that can be shared via social networking profiles, infographic images or videos. The type of content pieces you'll want to create will depend on how your target audience behaves online. For example, if the prospective customer you're targeting is active on YouTube, you'll likely see more inbound marketing success with a video than an article. You can either create the content yourself or outsource it to an expert. Either way, don't forget to include the CTA you selected. - Pick the social networks where your target audience is most active. Target the networks where your prospective customers spend the most time. - Become a valued, engaged member of your chosen social communities. If you want people to share your content, be a respected member of your social networking sites. Take the time to set up your profile, interact with others and share content beyond your own marketing pieces. - Ask power users to share your content. Industry authority figures can deliver heavy traffic to your site if they share your content with their social network followers. So, be sure to directly ask these power users to pass on your campaign content.